Yesterday one of my favorite authors of all time made a pretty huge announcement: there will be a ton of new books in her two current series. How many is a ton? Well. Eight. Way back in the day, as far as I know, Throne of Glass was planned as a trilogy. This is when I initially became interested in Sarah J. Maas. 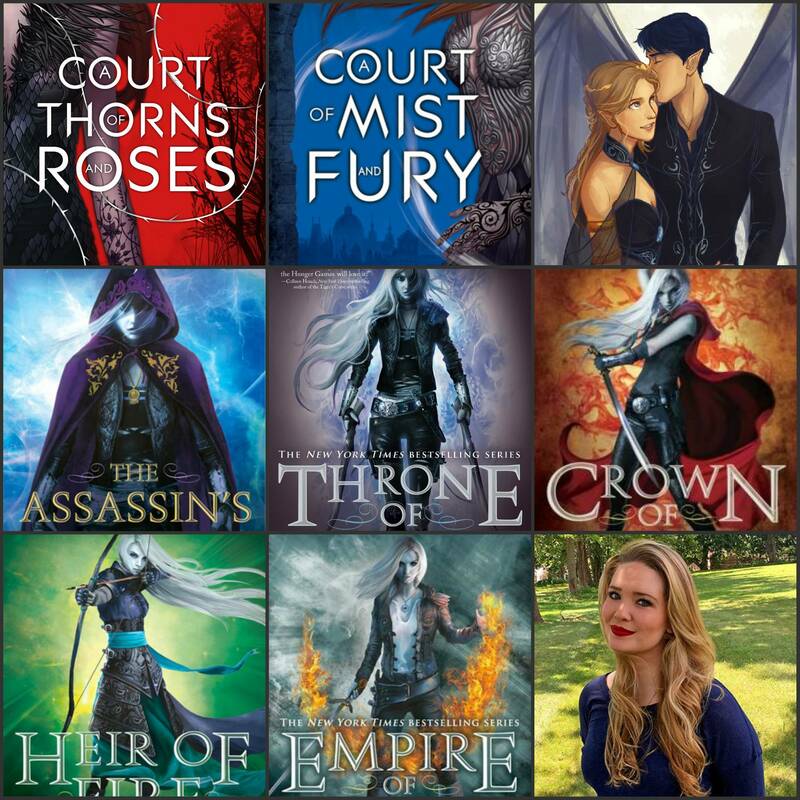 At some point, Throne of Glass became a six book series instead. But now... Now it is getting an additional two books, according to Entertainment Weekly. In fact, it's going to be an eight book series. Not only that, but my absolute favorite series in the entire world, A Court of Thorns and Roses, which was also planned to be a trilogy, is getting new books. A LOT of new books. SIX new books. To be fair, one of these six new books is a coloring book, which does sound like a super fun addition! But as of right now there will be an additional five books added to the previously planned three in the ACOTAR series and there are a lot of opinions flying around about it. This reminds me a little of A Song of Ice and Fire. While I don't read these books (and absolutely refuse to until the series is complete), I have a lot of friends that do. I have a lot of friends that lament how ridiculously long and convoluted the series, originally planned to be a trilogy, has gotten. I also read the Wheel of Time series by Robert Jordan, which started as a six book series and turned into fourteen. Yes, fourteen. And guess what? They drag in the middle. The series gets bogged down and way more complex than it needs to be. And that's what I'm scared of. Will I buy every single last book in the ACOTAR series? Um, obviously. Because the first two absolutely killed me. (In a happy way.) But am I extremely wary? Yes, absolutely, because I'm expecting perfection! DON'T LET ME DOWN, SJM!! Will you buy and read every single one?